Smart business owners look at trends that will affect their industry to determine if it is something that they need to plan for, or if it is something that they need to implement. North American Sweeper talked to several people that have been in the industry for a long time to determine what trends they are seeing and what will have the biggest impact on the industry in the coming year. While each business is different and different parts of the country experience different pressures, we found that certain trends emerged. “The biggest trend that continues with no end in sight is the national chains purchasing price versus service,” says Carl Barton, owner of Aardvark Memphis in Tennessee. “We have been recently contacted by several third parties requesting us to sweep Lowes for $22 – $26 a sweep. It is not possible to give anything that resembles sweeping for this price. Not only is it a ridiculous price but the frequency is way too low. » Their Company: They will be forced to lose money or cut corners. Most are cutting corners that will eventually destroy any standards that they have set for their workforce on other projects. » Other Contractors: This undermining fair market pricing and gives a bad reputation for our industry. » Manufacturers: Without profit there is no money for replacing equipment. » Suppliers: Maintenance and repairs are omitted with the exception of Duck-Tape. 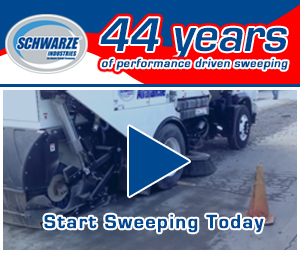 » Customers: They are allowed to believe that our service is a commodity and are not educated on the true benefits of proper sweeping. Once the sub price is in the customer’s budget it is very difficult to change. Schwarze’s Jim Adair, director of product management looks at other trends affecting equipment. “Rising fuel costs will continue to drive end-users to look for alternative sources to run their sweepers more efficiently while there continues to be a lack of CNG filling station infrastructure to support the potential demand in new areas. “While new emission standards will drive the cost of each sweeper substantially, government incentives are still available although they have been reduced. Municipal budgets have also reduced due to slow economic recovery and growth. While costs continue to rise, Adair feels that demand will increase for CNG powered sweepers that can operate at half the cost of diesel and burn cleaner. 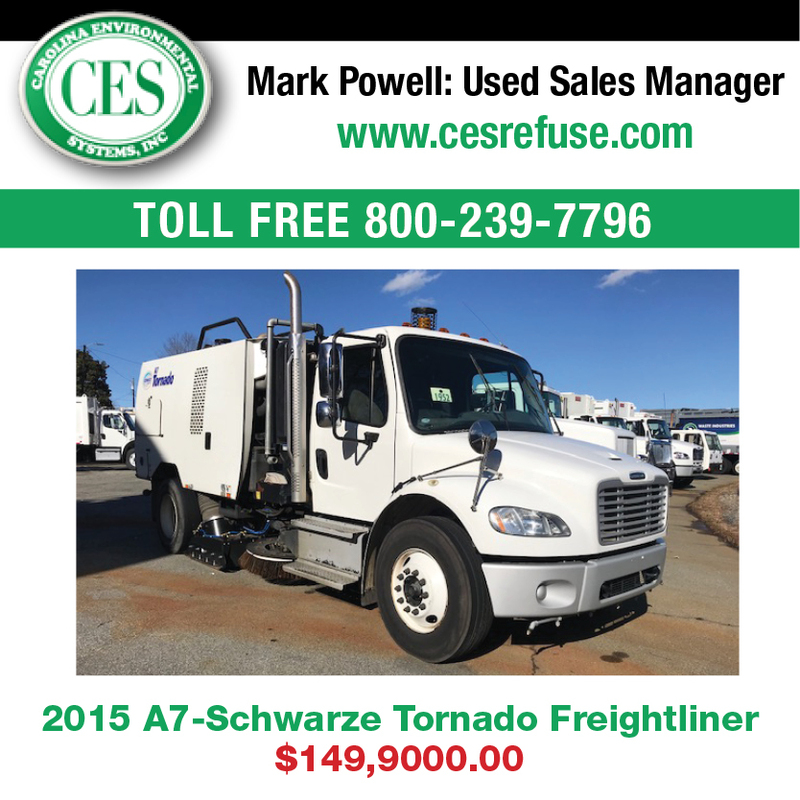 He sees increased demand for stainless steel hoppers to lengthen the life of the sweeper. Adair also envisions the demand for aftermarket parts and service offerings to increase as companies decide to keep their equipment for longer. Sweepers in California have continued to be those hit the hardest with regulations. However, several other states are looking at similar regulations. 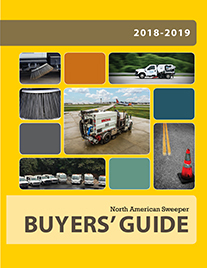 “The sweeping industry as I see it in 2014 will continue to see regulatory pressures at all levels of government,” says Mark Carter, president of Bill’s Sweeping Services in California. “CARB continues to dramatically affect sweeper purchases in CA. Notice the used equipment ads that state ‘not for sale in CA.’ Besides sweepers this affects all trucks and construction equipment. Joining professional and industry organizations can be a great way to keep yourself aware of trends and standards. 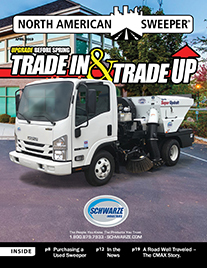 “The biggest impact on the industry has to be 1-800-SWEEPER,” says Gerry Kesselring, president of Contract Sweepers & Equipment in Ohio. “The partnership is driving revenue to its partners in an unprecedented way. 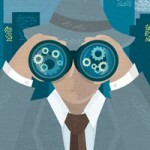 The buying power of its partners allows them access to vendors never achieved before. “Best Management Practices or BMPs are changing,” says Carter. “What worked 30-20 or even 5 years ago may get you by, but at what cost? Those firms that travel to events such as NPE or The Sweeper Summit will extend their lead over those that continue to go it alone. Those that do attend know that it seldom happens that the travel costs are not made up many times over with the new information obtained. Note to competition: Thanks for staying home! “Becoming a NAPSA CSC will continue to reap benefits by insurance discounts, advance knowledge of equipment changes, networking opportunities and the ability to market the CSC designation. Customers that survived the recession are working leaner and looking for industry designations to pre-qualify potential vendors. Although NPE has most likely come and gone by the time you read this, you can become a member of NAPSA at any time to share information and learn from your peers.